Good morning! 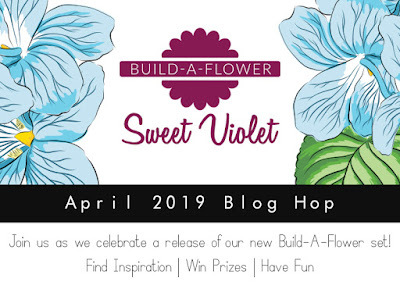 Today I'm joining Altenew to celebrate the newest addition to the Build a Flower family for March - Sweet Violet! You can also find the bundle with inks HERE. 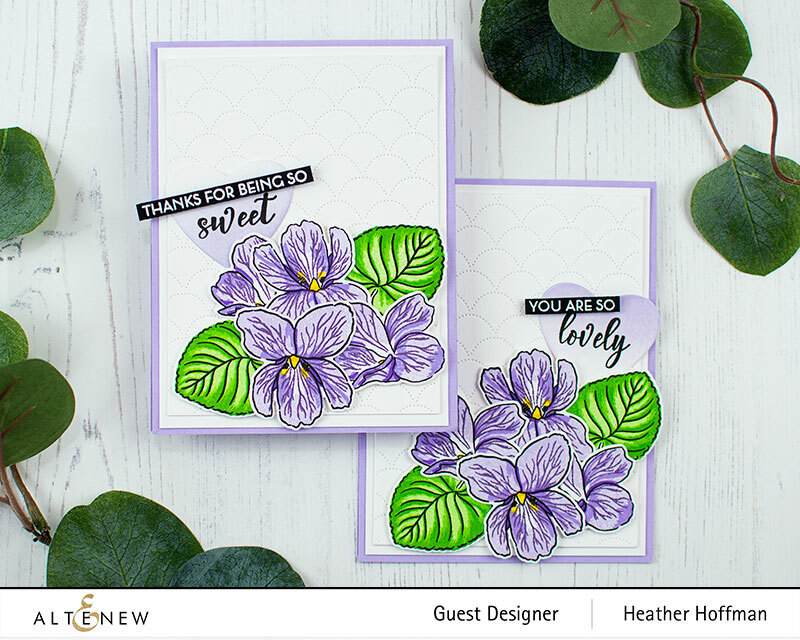 I'm sharing a set of two cards today using this lovely new release set! Don't you just love how intricate this stamped image is?!?!? 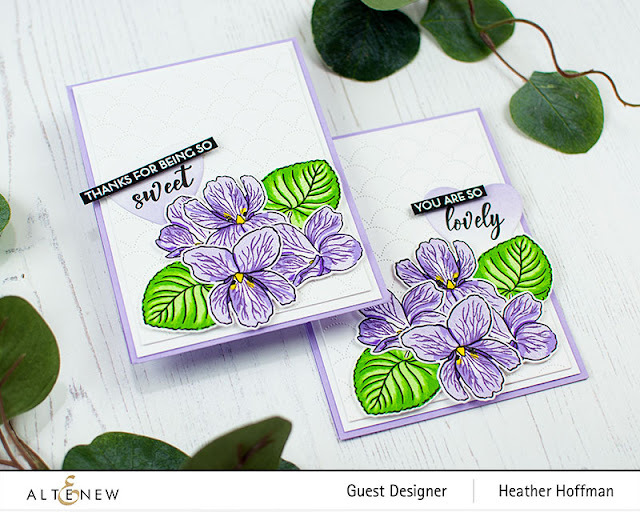 I thought it was so gorgeous to layer up in shades of purple using the Enchanted Garden Inks, and of course a bit of Green Valley and Pocketful of Sunshine. I used two different sentiments from the stamp set - using the Magnolia Heart Coordinating Die set with a bit of ink blending to help it coordinate and part of the sentiment stamped on it, then heat embossing the rest on a strip of black cardstock. The background on both of these has a bit of texture added with the Dotted Scales Debossing Cover Die - one of my favs! Finished off by layering everything together with some extra white cardstock between layers, and a soft lavender cardbase to coordinate with those lovely flowers! 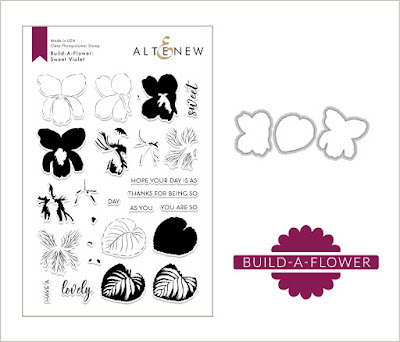 Altenew is giving away 6 $30 gift cards for comments left on the Altenew Card Blog and Altenew Scrapbook Blog. 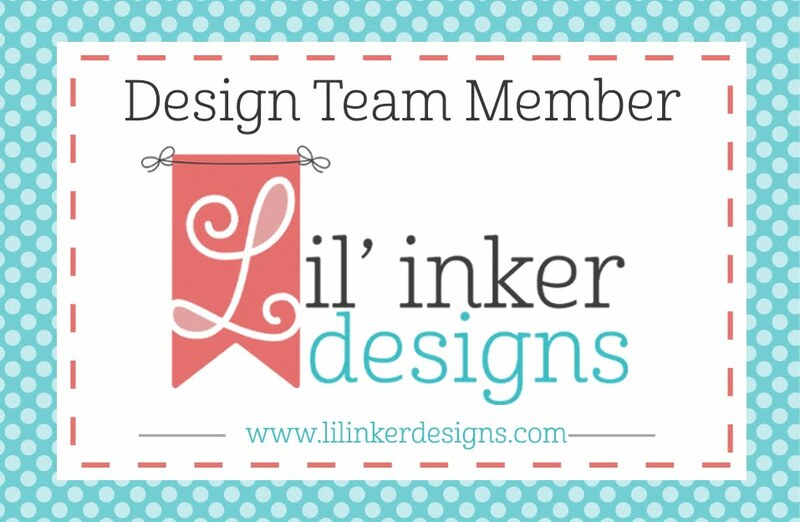 In addition, I have a $15 gift card up for grabs for comments left just on my blog here! 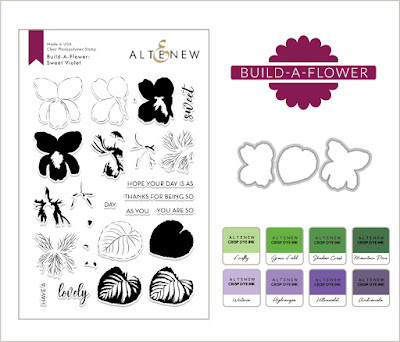 All winners will be announced on the Altenew blogs on 4/9/19. Very pretty cards!! I love the ink colors you used. Beautiful and I am so loving the background! I love the romantic and kind of old fashioned card - think Eliza in My Fair Lady! Beautiful cards!! Fabulous Spring design. Your cards are so pretty. 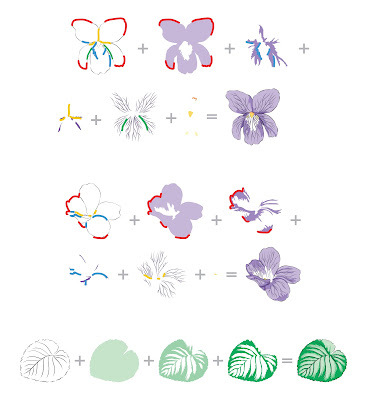 I love the soft colors you used on the violets. Love your cards. Each layer makes the card more beautiful. 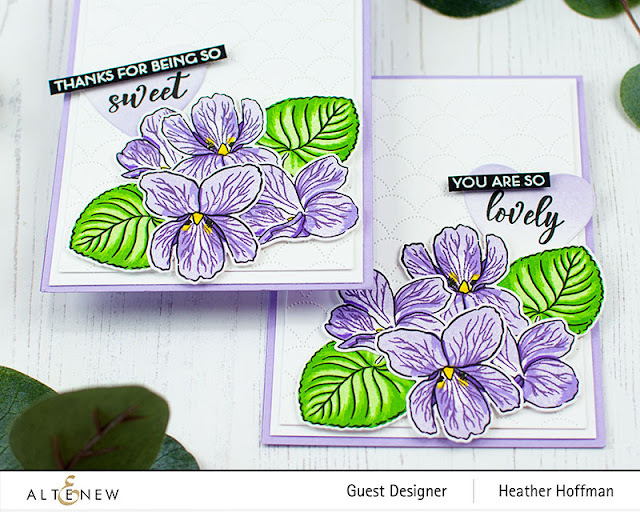 These two cards are just gorgeous, Heather! Love the purples with the veining, and the contrast of the leaves. Using the soft lavender card base was perfect! The Sweet Violet bouquet is simply delightful! oooooo I love this! Great bright purples! This is really pretty, the background goes really well with the flowers. Love your beautiful cards and the Enchanted gardens inks you used! My favorites right now! And great cover die that really shows off the Violets so well! Your cards are beautiful; the lavender shade is so pretty! Violets are one of my favorite flowers! Tricia Podmore here, because I have to say WOW to your cards. Violets are my favorites and you nailed them. They are so realistic and the softness of the colors. Oh my just Wow!!!! Very pretty.....soft violet colored violets.....they are such a sweet little bouquet....I love them. Thank you so much for sharing your pretty card. Beautiful cards! I love the addition of the soft heart behind the sentiment. It enorces the meaning of the sentiment. I love it! Violets are blue, wow you've captured their beauty. Love the added heart with the sentiment...it adds a sweet touch. Love the sweet pea set. Beautiful job!!! 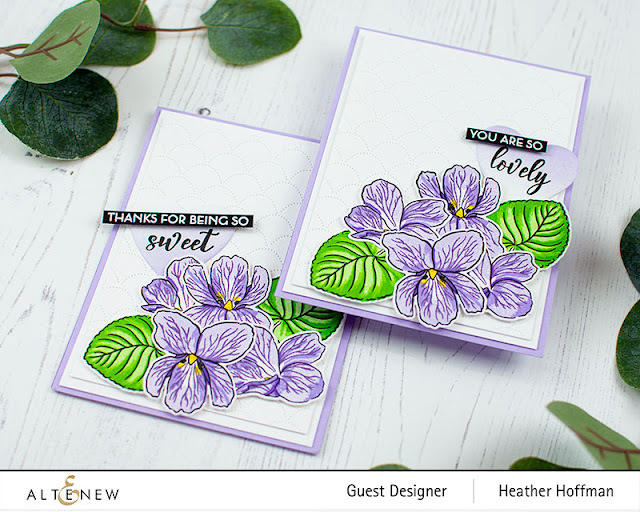 Beautiful CAS style cards - these Sweet Violets say Happy Springtime to me! So pretty! Love these beautiful violets! I love the soft added touch of the heart with the violets. Nice! 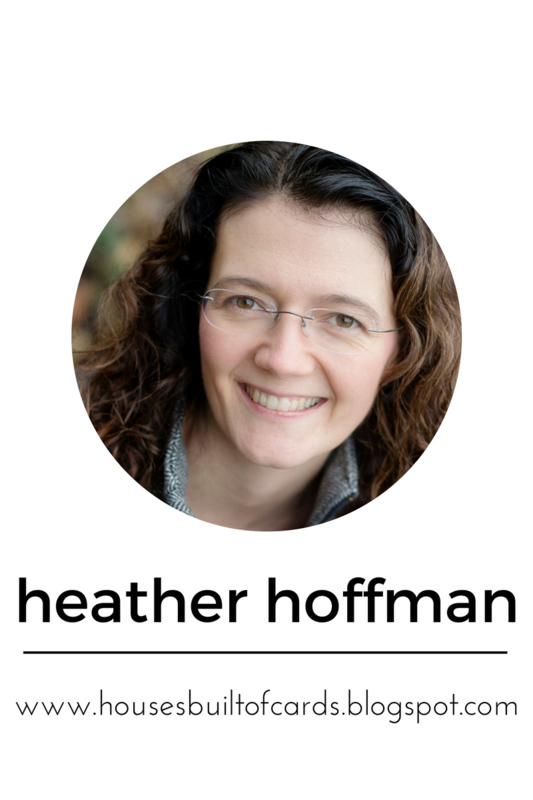 Your cards are very pretty Heather! Love this new BAF set, thanks for the inspiration! Beautiful colors and so Spring like. luv the press n seal! your pretty cards would make a great gift set! 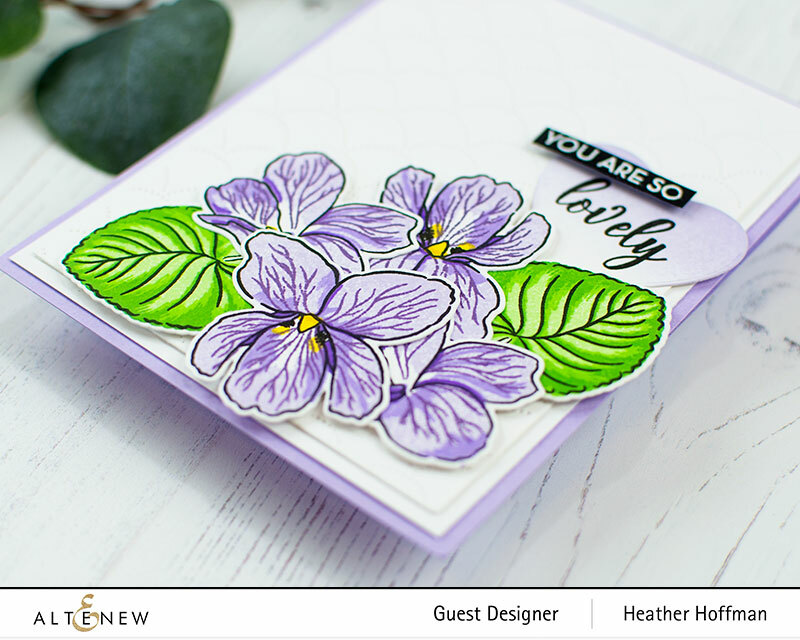 Heather your card with the violets is so very pretty. They are such a dainty flower & the colours Altenew put out with them are perfect. Thanks for the tip about Press & Seal. The colors you used are very pretty, love your work! Very pretty, Heather. Love the soft flowers you created. These violets are so beautiful! 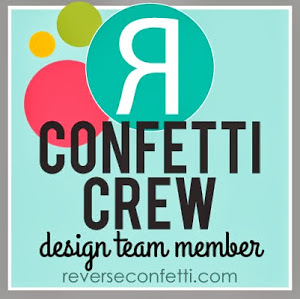 Loving the gorgeous delicate over die background! Thanks so much for sharing and for your wonderful inspiration! Altenew never disappoints. Beautiful card. Very beautiful card. Love the pretty flowers and the sentiments looks great! Those are so lovely and bright - wonderful springtime cheer on a card! Beautiful cards. 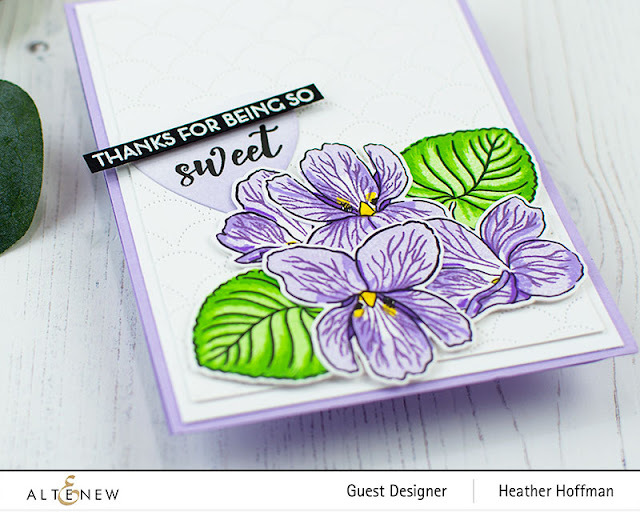 I love the Sweet Violet set and the sentiments are wonderful The purples are gorgeous. background, too. It really complements the flowers. Wonderful card! I have got to get that background die. It always looks fantastic paired with the florals. Beautiful cards!! I love the background. The purples are gorgeous!! Your cards are just amazing!